Join sommelier Shar Peterson for a quick dive into three of the great wines of the Veneto in northeastern Italy. 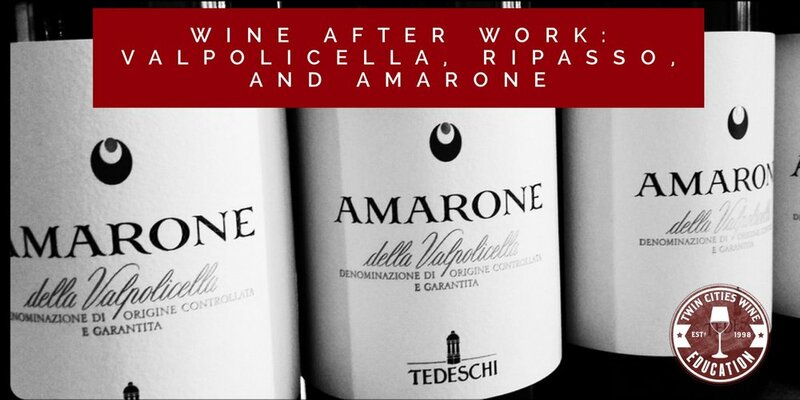 Valpolicella, Ripasso, and Amarone are each distinctive, each delicious, each with a purpose, but made differently simply by winemaking method. We will taste three great wines, one of each style, from one great producer. You'll learn about the key grapes used in the production of Valpolicella wines, the special techniques used in making the wines, and what to pair with them for ultimate enjoyment. Of course, some yummy bites from the kitchen of Cafe Latte will be served.